"From right to left, you have your tekkamaki, your futomaki, and then your yamaimo roll. The little pile of pink stuff is ginger, the green one's wasabi. 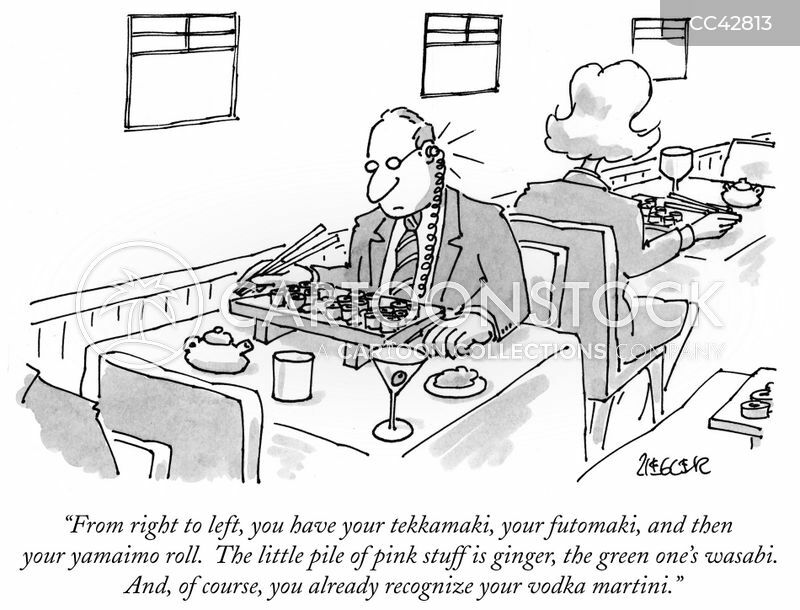 And, of course, you already recognize your vodka martini."